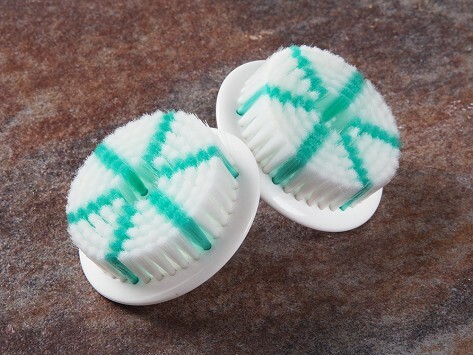 This set of replacement soft bristle heads is for daily cleaning with your Aura Clean Orbital Facial Brush system. Each brush comes hygienically sealed within a protective case that isolates the bristles from box edge. Dimensions: 2" x 2" x 1"